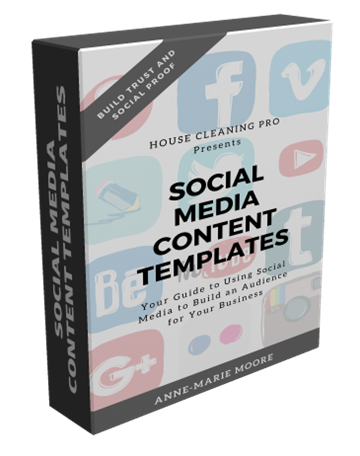 Social Media Content Templates $27.00 Discover how to use social media for your residential cleaning business: Setup up your marketing plan, decide which platforms to use, checklists to help you setup your profiles and post strategically. This package also includes 68 graphic quotes and 319 generic posts that you can target for your audience. Contains 2 bonus checklists for using Facebook ads and YouTube marketing. Guarantee/Refund Policy: There is a 7-day refund on this product.